Pataleshwar Temple is dedicated to Lord Shiva and is located on the extremely busy on the Jangli Maharaj Road in Pune – Maharashtra. The shrine is a classic example of rock-cut temple was constructed by the Rashtrakutas in the 8th century AD. The unfinished temple is supported by huge pillars. 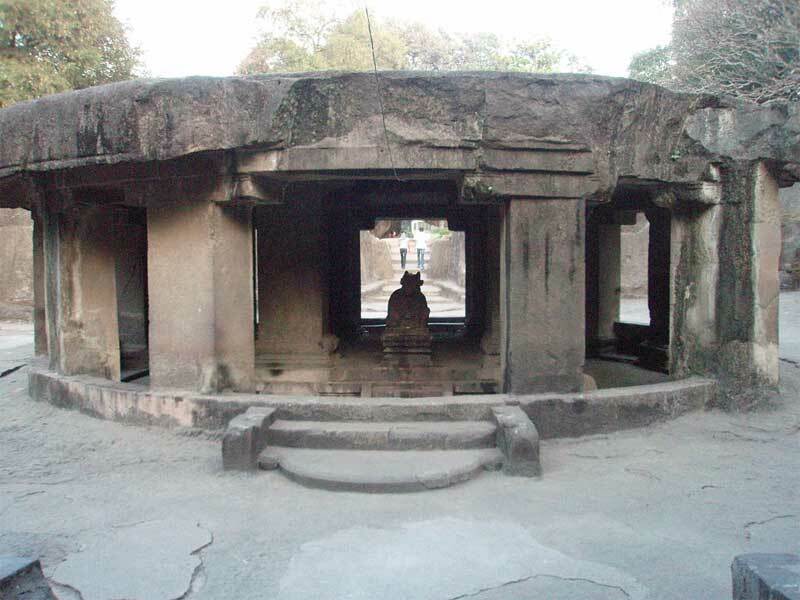 The circular Nandi mandapa supported by massive square pillars silently reminds us about the greatness of the sculptors of the period. The deities worshipped in the temple are Shiva, Parvati, Ganesha and Ram Parivar. All the murtis are of later origin. The Nandi statue and the mandapa outside the cave belongs to the 8th century period.